The HOKA ONE ONE Clayton is the latest addition to the HOKA ONE ONE maximalist running shoes. HOKA target predominately ultra runners. More recently, HOKA introduced new running shoes aimed at performance oriented athletes wanting to reap the benefits of maximum cushioning when racing on the roads or training on the track. 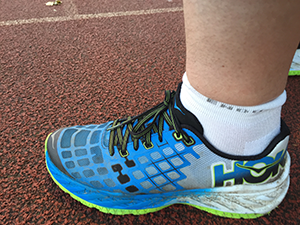 Having tested the HOKA ONE ONE Clifton 2 for the last couple of months, I was looking forward testing the Claytons. I was hoping the Clayton, and Clifton 2 would complement each other, i.e. Clifton 2 for general training and Clayton for workouts and races. Some context, I am 175 cm tall, approx. 90 kg, UK size 9 and I wear orthotics. I am a mid-foot / heel striking runner. I don’t pronate or over-stride as such, short stride with a cadence 170 strides per minute in training and 180 strides per minutes in races. The latest shoe, the HOKA ONE ONE Clayton is a lightweight trainer and road running shoe. Similar to other HOKA ONE ONE running shoes, the Clayton has same familiar features, such as maximalist, lightweight soft cushioning, the midsole Meta-Rocker, the PRO2LITE technology insoles, soft heel cushioning and a light upper mesh material. The forefoot is firmer than the heel to enable better propulsion at toe-off. 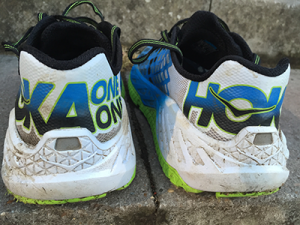 What stands out with the HOKA ONE ONE Clayton is the weight of the shoe. With just a tad over 200 grams, the Clayton is extremely light and suitable for runners wanting to race distances from 5km up to the half marathon. The specification of the HOKA ONE ONE Clayton is very similar to the other HOKA ONE ONE flagship models. There is a heel to forefoot drop of 4 millimetres; the heel is 23 millimetres while the forefoot is 19 millimetres. Overall, the shoe is very light, 220 grams (UK size 9.5). The Clayton come in three different colours – French blue, poppy red/acid and citrus. Beautiful designs. Whenever runners switch shoe brand or running shoes, there is a risk of injury. For those not familiar with HOKA ONE ONE running shoes or have tried other HOKA running shoes before it is recommended to test the Clayton by running short runs first and then gradually extend the distance once familiar with the shoes. A few runners apparently picked up blisters. For those athletes using orthotics, it is recommended to go 1/2 a size up. Orthotics fit in perfectly in the wide-cut and big toe box of the Clayton. Running in the Claytons has a good feel. The shoes fit well around the heel, like a sock. So far, approx 60 km of running have been logged. I used the Claytons during my weekly parkruns. Besides, I have used the Claytons in 2x road 10k races as well. In my first parkrun, the Claytons made an instant impact, and I managed to set a PB (after 130x parkruns!) on the slower summer course. 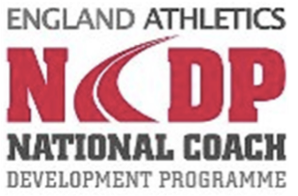 A lightweight performance trainer benefits the average pace by up to 5 seconds per kilometre. The Claytons are extremely light and feel much better compared to the Asics Gel Kayanos used previously in races. The weight of the Claytons reminds of the New Balance 150s. Similar to the HOKA Clifton 2, the Claytons have the same laces. Unlike round laces, the flat laces don’t get undone quickly, which is very convenient. The material is very durable and even after running more than 1000 km in the Clifton I never had a problem so far. The shoes have a great toe box and are suitable for people with a wider foot. The outer sole is wide, looks a bit clunky, in comparison to the upper and provides excellent stability. When running in the Claytons, there are no movements, everything fits. Worth mentioning is that the outer material is a bit stiffer compared to the Clifton, though the actual compound can wear off quickly (e.g. around the heel). Due to the more rigid outer sole, less of a rocking sensation. Having read through various reviews. 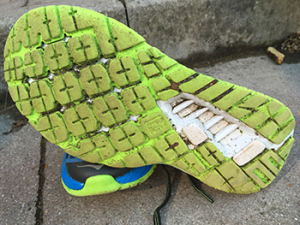 Some runners picked up blisters at the midsole. The shoe fits perfect. Due to I use orthotics, I used 1/2 size bigger. The material around the heel is thin and flexible. Worried the material would tear or wear off quickly, though this was not the case. Some minor criticism. From time to time, I run parts of the muddy trail. The grip on mud is not great, and I quickly start slipping. Dirt and small stones can get stuck in the soft outer sole. 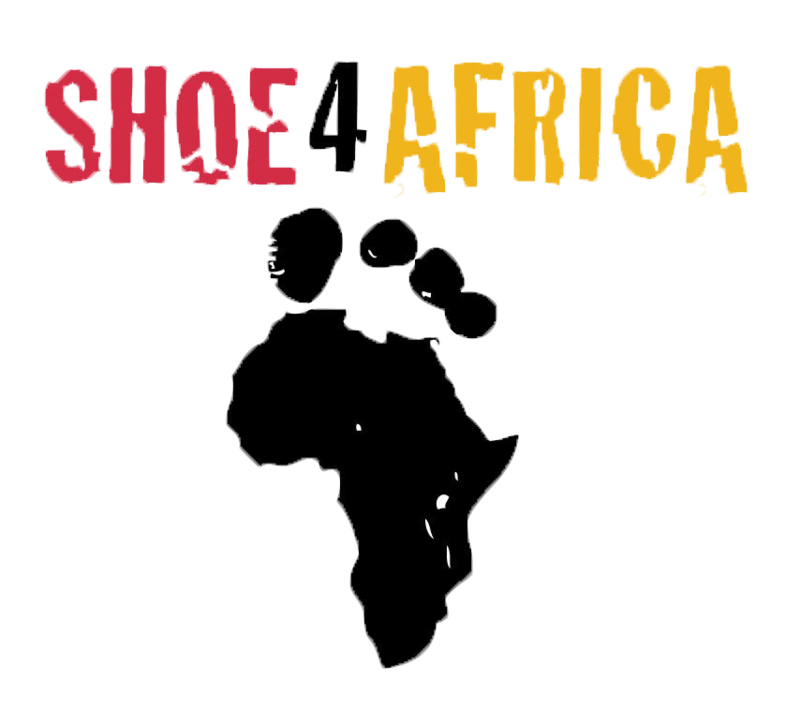 We have to accept there is no single shoe on the market which ticks all the boxes. 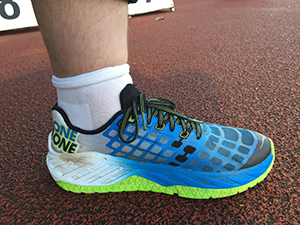 The HOKA ONE ONE Clayton is an excellent performance training and racing shoe for hard surfaces. The HOKE ONE ONE Clayton is a great lightweight racing shoe. I am a bit heavy, and I am worried when running in lightweight shoes that I get injured. The Claytons provide a lot of support and cushioning, a great safety net for me. The shoes can be used in road races and when training on the running track. The shoe can be used on dry trails too, though for muddy terrain less suitable in my view. I have used lightweight racing shoes before from other running brand, so far this is my favourite lightweight racing shoe 10/10. I am converted and will stick to the Claytons. Price point, at the top end, though watch out for discounts. Recommend to take 1/2 size up, when you wear orthotics.